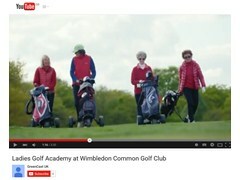 Syngenta has broadcast the latest video in its series of short documentaries highlighting golf clubs driving business through increased female participation. Wimbledon Common Golf Club in South West London was an all-male club until 2005, when its first female members were admitted. Now, thanks to the introduction of its Ladies Academy, featuring an innovative blend of professional coaching, on-course mentoring and social activity, the club has a thriving female section, which is growing year-on-year. This incredibly successful high conversion rate has been credited to the scheme's focus on active play. Academy members receive two one-hour lessons a month and, crucially, play the course three times a month with a mentor, typically an existing member. 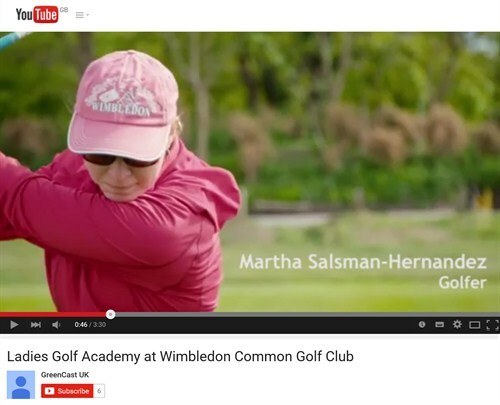 Lindy Ratner, Ladies Academy Organizer at Wimbledon Common Golf Club, said: "The feedback we got very quickly from the Academy players was that they were so glad they weren't just getting lessons; they needed to go out on the course straight away to practice what they'd learned." Ladies Academy player Pamela Roche concurred. She said: "You feel like you are playing a proper game; you are learning as you play and it's a lovely experience. When you go out on a course you realize what fun it is." The club's approach reflects the findings of Syngenta's free market research report'The Opportunity to Grow Golf: Female Participation', which gives clubs insights and tips on how to attract more female players. Simon Elsworth, Syngenta Head Turf & Landscape EAME, said: "Our research shows that active women are interested in golf and Wimbledon Common Golf Club is an outstanding example of how clubs can appeal to and engage prospective customers. "Its Ladies Academy focuses on the fun aspects of playing, empowering the new golfers through coaching and on-course mentoring. The club also offers a welcoming, social and female-friendly atmosphere that appeals to golfers and non-golfers of all ages." Fourteen new golfers have now joined the 2015 Ladies Academy and there is already a waiting list for the 2016 scheme. Syngenta Golf Ambassador and 2015 European Solheim Cup Captain, Carin Koch, with Joanna Croker, Lady Vice-Captain at Wimbledon Common Golf Club. 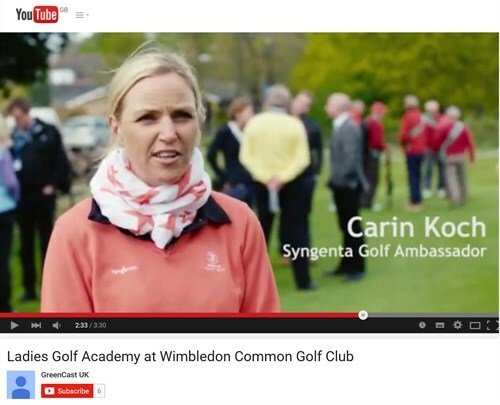 Carin Koch, 2015 European Solheim Cup Captain and Syngenta Golf Ambassador, who visited the club in April to help launch National Golf Month, said: "What they've done here at Wimbledon Common Golf Club is wonderful. To change in that short period of time and get so many women involved is impressive." For more examples of golf clubs shopwcasing great ideas to encourage greater golf participation, visit the GreenCast Growing Golf section.